I had a lot of sweet potato casserole left over from Thanksgiving. 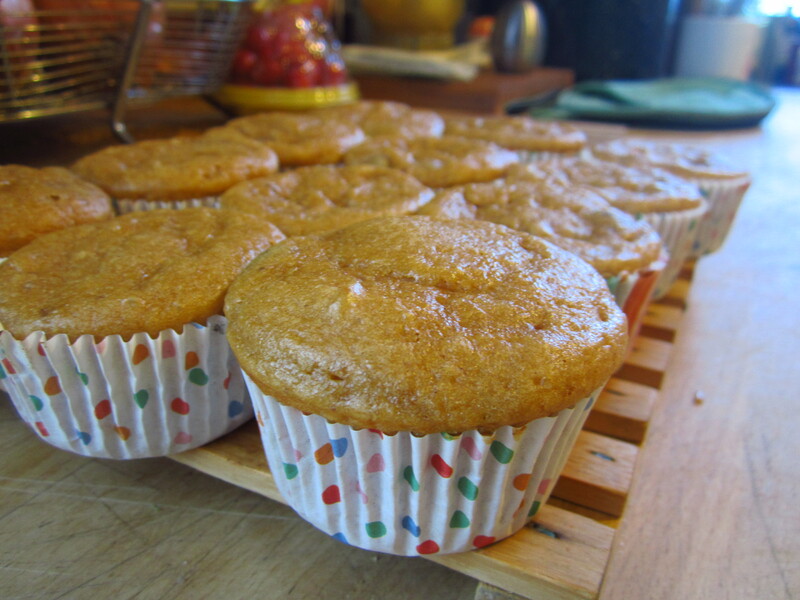 I didn’t want to just throw them away, so I put them to use in these muffins (and some pancakes). Use a mixer to mix everything together thoroughly. Place cupcake liners in the cups of a cupcake pan. Pour mixture into cups. Bake at 350ºF for 18-22 minutes or until toothpick comes out clean.